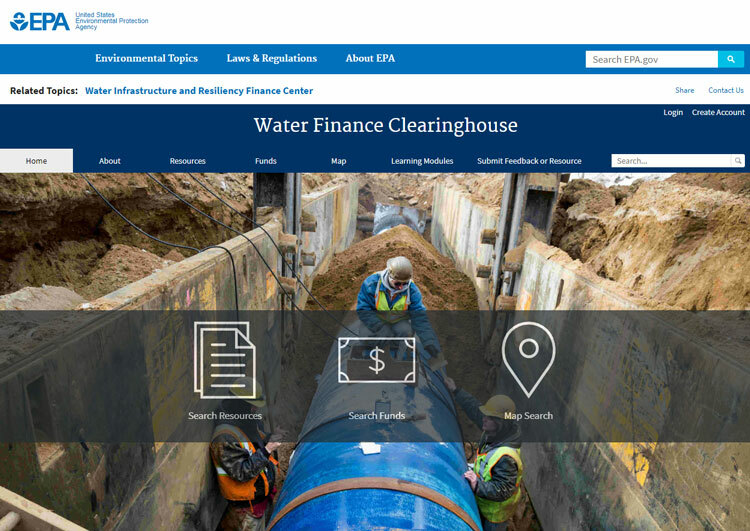 Washington, D.C. — The U.S. Environmental Protection Agency’s Water Infrastructure and Resiliency Finance Center announced recently completed updates to the Water Finance Clearinghouse (https://ofmpub.epa.gov/apex/wfc/f?p=165:1). These updates provide new information on funding, financing, and other resources for the water infrastructure sector. As part of these updates, the Center released the first three Water Finance Learning Modules, hosted on the Clearinghouse. These in-depth, step-by-step water finance guides provide users with information on funding and financing options to support communities’ water infrastructure decision-making. These first modules focus on the drinking water and clean water state revolving funds (SRFs), the Water Infrastructure Finance and Innovation Act (WIFIA), and Financing Septic Systems.